Woo-Hoo. The calendar says Winter is over. @rtjhnstn my heater hasn’t looked at a calendar lately. Ummm, it’s Fall down under. Woo! Summer is over. @hchavers Actually, I believe it is Autumn down under. Crikey! So, Vegemite is in season? At least I don’t have to mow my lawn. yet! @rtjhnstn ugh… I’m about to mow mine for the 2nd time already! Thinking…gravel yard. @lseeber @rtjhnstn I let mine go too long; mowed last weekend. Now I get to do the back yard this weekend. 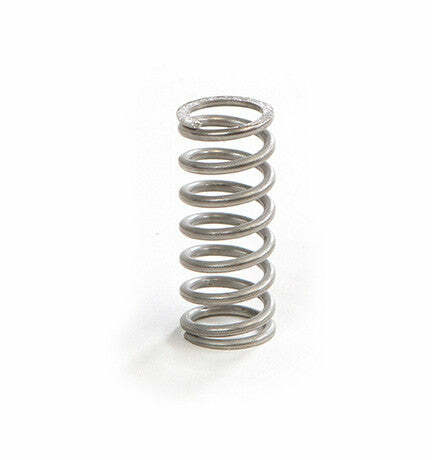 It is spring! Hi spring! Boo. I wish it was cold. @JT954 there is a remedy for that. @hchavers @JT954 I can only get so naked. Spring is just Fall in a wet T-Shirt contest. Yeah, it’s kinda hot, but it’s also soaked. Now that winter is over I can’t help but wonder how many more I’ll see. Yeah, around here all the weeds know that it’s Spring and are green & vigorous, but the real grass is still in Winter mode: brown & ‘dead’. @lseeber We do the same sneak protocol also - problem is their favorite site is right by the garden and other areas of the porch and lawn we use a lot, so we usually work a sort of truce. We watch the progress and when the first batch fledges we get real busy in that area to try and discourage the second clutch. @lseeber @stolicat I have mockingbirds both in the back lot and front yard. I keep hats by every door and in the car. Damned flying dinosaurs. @lseeber @OldCatLady @stolicat I don’t think I’ve ever seen a phoebe. We have barn swallows who like to nest on top of the back porch light. They’ve never bothered us. It’s always so much fun to see the little ones attempt their first flights to the old telephone wire linked to the backside of the house. There they sit looking half asleep, but boy do they perk up when Mom or Dad fly onto the line with food! @Barney @lseeber @OldCatLady @stolicat We had chimney swifts the year after our guard blew off. They drove me bananas. STFU little birds. I like them outside though. @OldCatLady @stolicat Re: Mockingbirds - haha… I have a couple of those at the house I’m in now. They like to hog the suet feeders. @Barney @OldCatLady @sammydog01 @stolicat Re: Chimney Swifts - lol… my daughter still hates birds to this day because they woke her up early in the morning when she was younger and trying to sleep in. They had nerve singing outside her window! I told her she must be the only person on earth that hates birds. So my husband bought her a bird clock. Woo! People are still going to complain that it’s winter, even though we typically have snow in the spring. Because it’s suppose to magically become permanently nice, on the first day of Spring. Ah, spring. Unfortunately, the last couple of years it has only lasted a couple of weeks before summer and 90 degree days were upon us. I miss being able to open the windows and not run the A/C. It’s been that way in Alabama since I’ve been here…since '76. 2 weeks without heat or air conditioning. Love spring, love the summer, but oh crap, that means winter is coming again. Oh no! Who can tell what season it is anymore? @goldnectar Word has it they will soon institute daylight seasonal time, moving each season forward 3 months so that our deprived children can go skiing earlier and have spring break at Christmas. Saw the first ant of the season in my kitchen today. @sammydog01 I think our ants drowned. My backyard (and my mom’s) is still underwater. @Barney That’s why they come inside. Little fuckers. Its really not easy for me to write an essay right now. A work, a child, no time for studying at all, but I cant give up on studying right now. Can I order such work somewhere? Kind of heard that https://paperleaf.ca/pay-for-essay/ doing that. But I`ve never tried it. Maybe someone here ordered similar works, give good advice please.